Quickly aggregate services from public cloud providers, and create service offerings with a just a few clicks. 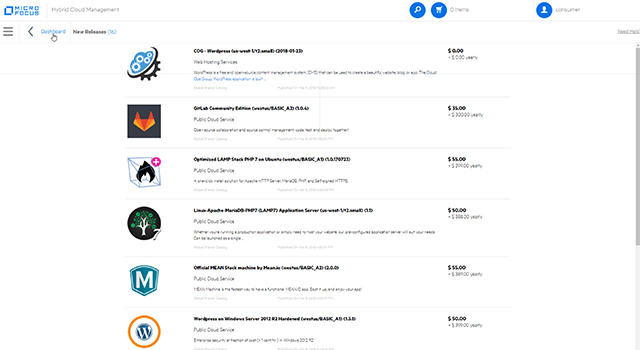 Offerings from multiple vendors can be in the same catalog. Pre-configure the offering by selecting all the options you require. View pricing information for each instance. Meanwhile IT can track public cloud usage, control costs and enforce governance and budget positions for teams or projects even with multiple currencies. Set notifications when usage exceeds budget limits. Streamline interaction between users and IT with a centralized, self-service portal. The catalog can contain any mix of simple public cloud offerings together with your custom designed, hybrid services. Catalog offerings are flexible, accommodating variations (options) in a single catalog entry. This attribute-based catalog allows IT to minimize the total number of services to maintain/manage while satisfying the broadest potential number of user resource requirements. Control access with enterprise-grade multitenancy options and customizable permissions. Power your cloud initiative with reusable, cloud agnostic service designs to deploy and manage services for any environment, technology, and application. Design a service once, and users can order it anytime and run it anywhere their permissions allow. 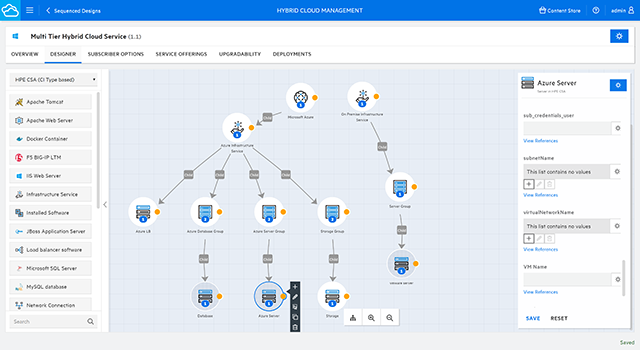 Create designs from simple infrastructure offerings to complex, hybrid designs with on-premise, cloud, container, and microservice components. 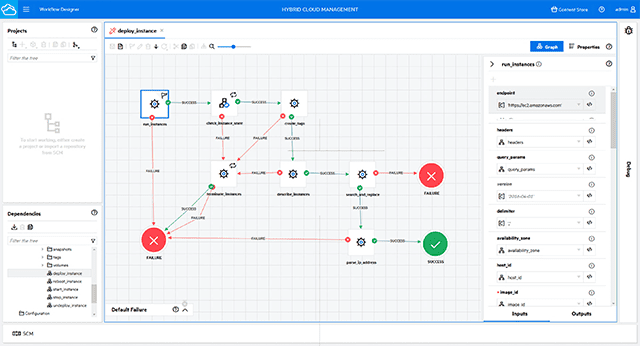 Design complete IT actions and processes across silos including directing third-party automation and orchestration tools. Automate IT processes easily with the intuitive workflow designer and execution engine. Accelerate development and enable infrastructure as code with text authoring. 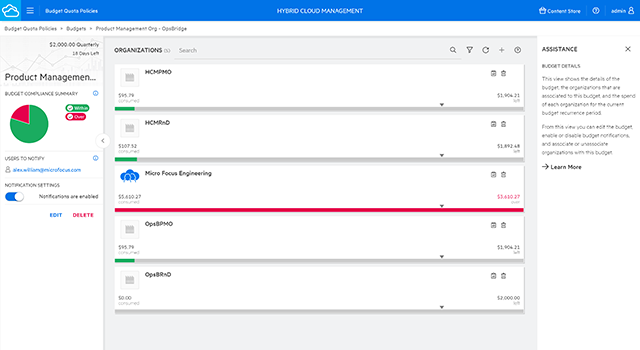 Hybrid Cloud Management includes a library of over 8000 workflows and actions to leverage and automate typical IT processes and repetitive actions eliminating the need for custom integrations or expensive service contracts. 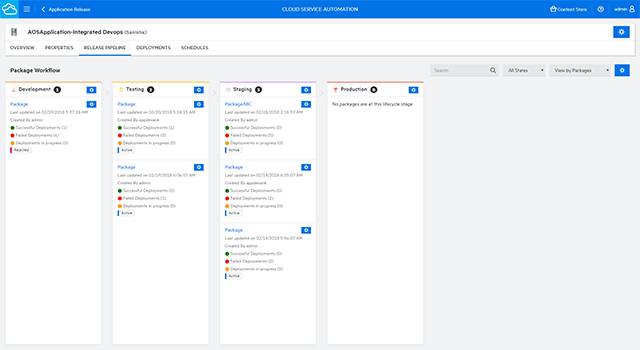 Enable DevOps and continuous delivery with built-in, fully customizable, automated stage gates. Empower development and testing teams to subscribe to required platform services as needed—straight from the release pipeline. Track service usage and costs across applications in development, testing and production environments. 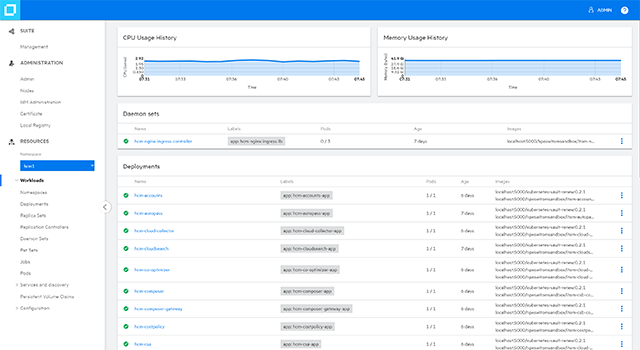 Integrate the application release pipeline with Fortify Static Code Analyzer to identify security problems in your source code early in the software development lifecycle. Minimize implementation and upgrade efforts with pre-integrated, containerized components based on open-source Docker containers and Kubernetes technologies. Deploy the Hybrid Cloud Management suite quickly, and easily scale-out as necessary. Get access to new features with quarterly updates that are easy to apply.